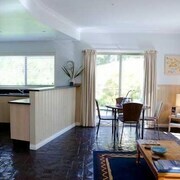 The location was fantastic and handy to everything in Red Hill. 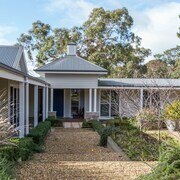 For adults, the famous winery areas of Red Hill or the spectacular surf beaches of Sorrento and Portsea are ideal and within a short drive. 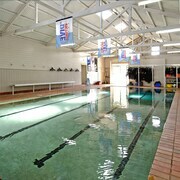 Great location for a number of activities in the area including Red Hill and the lovely wineries. The hotel complex was ideally placed to St Andrews course where we played the following day and to Red Hills where the wedding was. 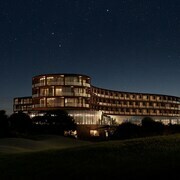 Which hotels are closest to the Red Hill airport? 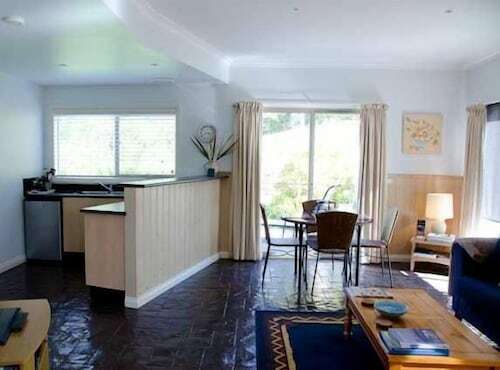 Where to stay near top Red Hill attractions? 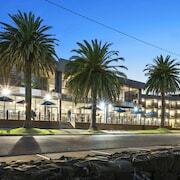 What kind of hotels are in Red Hill? 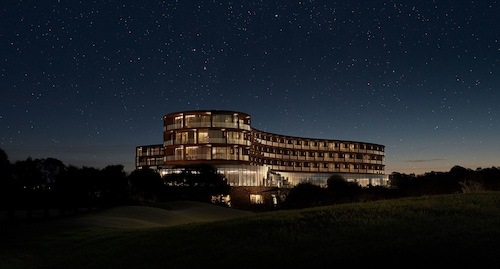 Which hotel chains are in Red Hill? 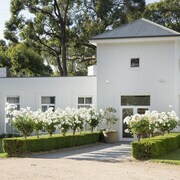 Visitors to Red Hill are sure to enjoy the wineries, gardens, and spas. This relaxing city also attracts tourists with its restaurants. A top sight in the area is London Bridge. 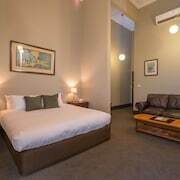 In Red Hill, there are 6 hotels and other accommodations to choose from. 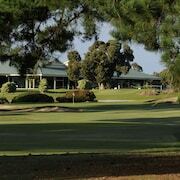 The city's natural setting is picturesque, including the gardens and Redhill Recreation Reserve. Wine tasting is one of the top activities, while Foxeys Hangout, Eldridge Estate of Red Hill, and Main Ridge Winery are favorite sights to visit. 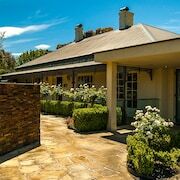 Additionally, you might want to add Port Phillip Estate to your agenda. 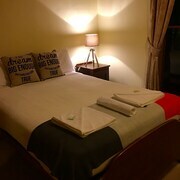 Haven Red Hill - This 4-star bed & breakfast features free breakfast, free WiFi, and free parking. 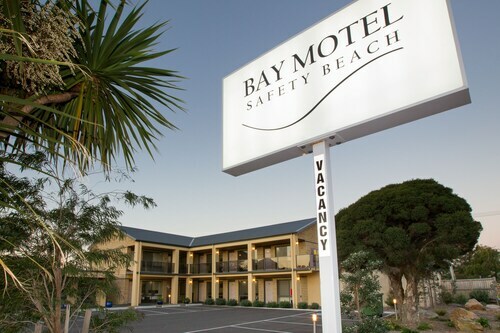 It's a favorite with Expedia travelers for its breakfast and comfortable beds. 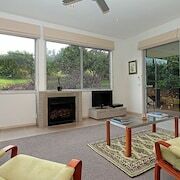 Stony Creek Cottages - Our customers like the quiet location at this cottage. With a stay at this 4-star cottage, guests can enjoy access to free breakfast and free parking, along with an in-room fireplace. 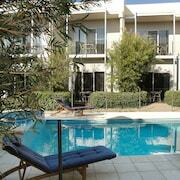 Polperro Villas - This 4.5-star villa features a winery, free breakfast, and a restaurant. A top sight outside the city is London Bridge, located 17.2 mi (27.6 from the city center. If you dream of a quiet getaway to a secluded peninsula, travel to Red Hill, VIC, about 87 km south of Melbourne. This small inland village is a culinary and scenic diamond in the rough. Take a tour through the vineyards at Main Ridge Estate Winery, treat yourself to a spa day, and admire the hand-painted tiles and beautiful glasswork at Marion Rosetzky Gallery. If you can’t get enough of Red Hill’s natural beauty, don’t worry—there’s more. 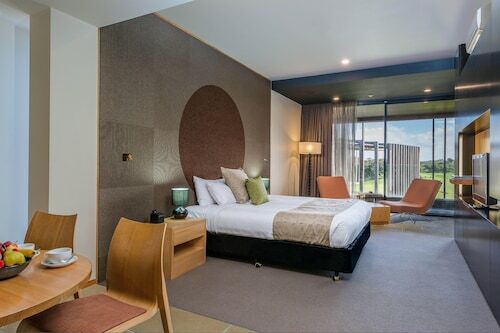 Enjoy a picnic or gracious restaurant hospitality while looking out over the olive groves at Montalto Vineyard and Olive Grove, or simply enjoy the view of Arthurs Seat State Park through the window of your cosy Red Hill hotel. And when the sea sends out its siren song, you won’t be far from the coastal town of Dromana, just 9 km northwest. As a wine and agricultural destination, Red Hill combines the elegance of fine living with the simplicity of a rural setting. 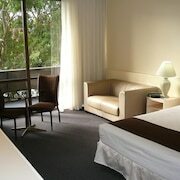 Likewise, you can spend your nights in Red Hill luxury accommodation as well as homey motels. It all depends on the holiday experience you’re looking for. Red Hill may be a 110 km commute from Melbourne Airport (MEL), but the gorgeous waterfront views are part of the magic of the Mornington Peninsula. If you’re flying in from another location in Australia or abroad, hire a car with us in advance and take the scenic route. Actually, they’re all scenic routes near Red Hill. Whether you’re a serious wine aficionado or someone who just wishes to travel with understated style, the rolling landscape and easy-going culture of Red Hills merits a visit. 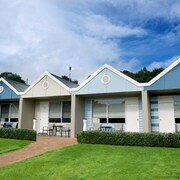 The travel experts at Expedia.com.au have found amazing deals on airfare and Red Hill accommodation, so you can book a tranquil holiday as easily as sipping a glass of chardonnay. 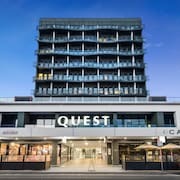 What are the most popular hotels in Red Hill? 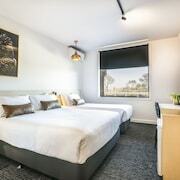 Are there hotels in cities near Red Hill? 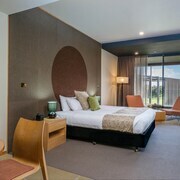 Explore Red Hill with Expedia.com.au’s Travel Guides to find the best flights, cars, holiday packages and more!